A school of fish wakes up one morning to discover that they've all grown legs. Is it evolution, or a curse from god? 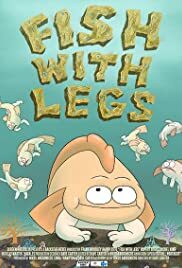 Only one fish - the hopeful young scientist Charlie - thinks the legs are the next step in evolutionary progress. But he looks certain to be shouted down as usual...unless he can work out what the legs are for.